Welcome Republican Men of Clay! The Republican Men of Clay is a charted club of the Republican Party of Clay County that focuses on gathering men from the county into an environment where the critical issues of our county and state can be reviewed, discussed and debated. All are welcome to attend our monthly meetings without having to become a member to find out if our club is "the place for you." We're confident once you attend, you'll keep coming back! If you'd like to know more, either send a message to us from the Contact Us page or click here to send us an email. We look forward to having you join us! 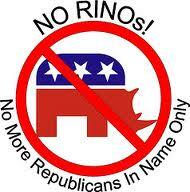 Click here to be taken to the Clay Republican Executive Committee website. Copyright 2016, Republican Men of Clay. All Rights Reserved.